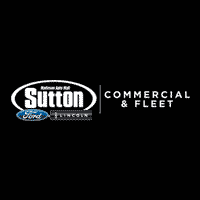 White 2019 Ford F-350SD COMMERCIAL Commercial 4WD TorqShift 6-Speed Automatic 6.2L V8 EFI SOHC 16V Flex Fuel ** BLUE TOOTH **, ** ADAPTIVE CRUISE CONTROL**, ** KEYLESS ENTRY **, ** LOWEST PRICE AROUND **, ** 2 SETS OF KEYS **, POWER WINDOWS AND LOCKS, OPEN CHASSIS, SNOW FIGHTER, PLOW, DUMP TRUCK, RUGBY 9', WESTERN PLOW, WESTERN 9 PRO+ PLOW, SPREADER, STAINLESS STEEL, Dump Plow, 6.2L V8 EFI SOHC 16V Flex Fuel, 4WD, 4.2" Center-Stack Screen, ABS brakes, Advanced Security Pack, Chrome Front Bumper, Dual rear wheels, GVWR: 14,000 lb Payload Package, Limited Slip w/4.30 Axle Ratio, Low tire pressure warning, MyKey, Order Code 640A, Platform Running Boards, Power Equipment Group, Power Front Side Windows, Power Locks, Radio: AM/FM Stereo/MP3 Player, Remote Keyless Entry, Snow Plow Prep Package, Steering Wheel-Mounted Cruise Control, SYNC Communications & Entertainment System, Traction control, Trailer Tow Mirrors w/Power Heated Glass, Trailer Tow Package, XL Value Package. $1,000 - Exp. 07/31/2019 $1,250 - Exp. 07/31/2019 Price includes $25,307 in dealer added accessories.